The main Opposition National Democratic Party (NDC) has replaced its caretaker for the St George’s South East constituency, because the former candidate has made a decision to put his company ahead of his political ambition. “I had indicated to the party about 2 years ago, that they should consider getting a new caretaker because of increasing workload with my company. It’s a small company, and I need to focus on its operations. I got a small staff and we just need to work together for it to succeed,” said Randal Robinson, who operates a tour company which specialises in river tubing tours. “I really could not continue as caretaker. Right now it’s the busy season for me, and with talk of snap elections, it will just be too much,” said Robinson, who contested the 2013 General Elections, and lost the constituency despite receiving 1,507 or 41.07% of the votes cast. Gregory Bowen won the constituency with 2,101 or 57.26% of the votes cast. “I continued to hold on as caretaker despite giving notice, but as time progresses, my work has become more heavy and it’s affecting my performance at my company, so it’s best for me to do the work of the party’s public relations than be the caretaker for the constituency,” said Robinson, who confirmed that he is in strong support of the new caretaker – Franka Bernadine. 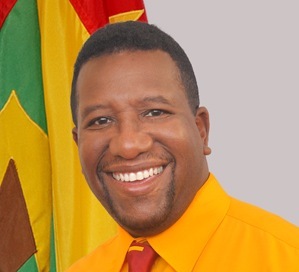 Bernadine, who served as Education Minister with the Tillman Thomas NDC administration of 2008 to 2013, was the candidate for the Town of St George. She received 896 or 39.20% of the votes cast in 2013. Nickolas Steele of the NNP won the seat, with 1,377 or 60.24% of the votes cast. Bernadine and the new executive were elected on Monday, during a meeting of the NDC constituency support group. Bernadine is the second caretaker to be endorsed by the party within the past 2 weeks. The first was retired banker Jerome Thomas who is the caretaker for St Mark. A General Election is constitutionally due no later than mid-2018.